MADRID — Levante defeated 10-man Leganes 3-0 for its fifth win in six matches in the Spanish league on Monday. Jose Luis Morales, Enis Bardhi and Jorge "Coke" Andujar each scored second-half goals for the visitors. 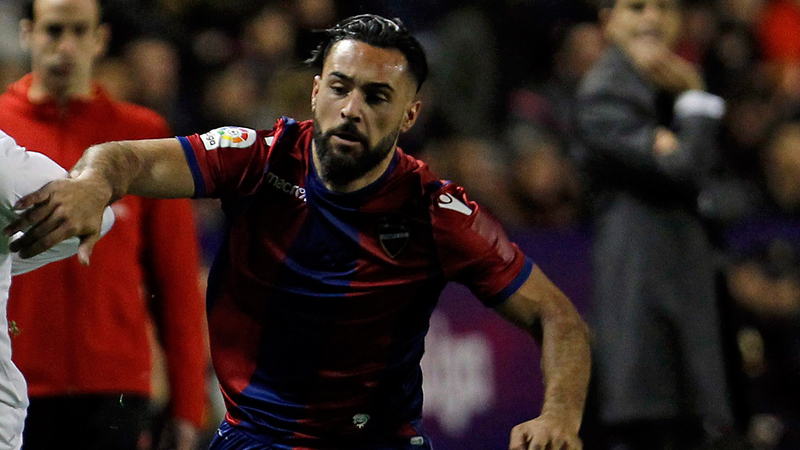 Levante, which was in the fight against relegation for most of the season, overcame Leganes for 16th place with two rounds to go. Both teams had already avoided demotion in advance. The relegated teams were Deportivo La Coruna, Las Palmas and Malaga. Leganes played with 10 men after Joseba Zaldua was sent off in the 57th minute, just after Levante’s first goal. Barcelona won its 25th league title in advance.